1. The Healing Walk is a peaceful pilgrimage along the length of the Napa Valley, rooted in the indigenous philosophy of invoking sacred space to heal the land and its people where damage has been done. The walk is intercultural, interfaith, and intergenerational, with the goal of cultivating appreciation and respect for Napa Valley’s watersheds and wildlife, and supporting policy changes that ensure their protection. coals, ashes, and soils. You are invited to paint alongside mural facilitators and lift up solutions to protect our communities and future generations from wildfires, extreme weather disasters, and the climate change that fuels them. Click Here (Facebook event page) to find out more about the Climate Fire Mural spearheaded by 350.org Arts Organizing Project and ChalkRiot!. 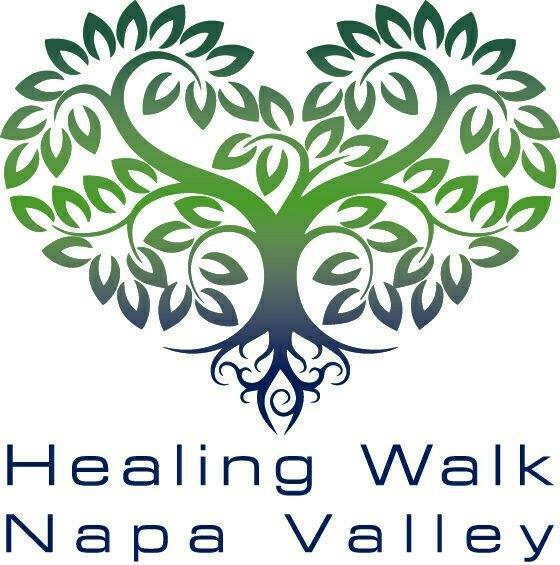 You can begin the Healing Walk with the opening ceremony in Yountville, near Veteran’s Home, or at the Las Flores Park 5 mile halfway point, or go directly to the end for the closing ceremony at Oxbow Commons in downtown Napa. Read each section description below so you can decide what your calling is. We encourage you to partake in at least the half walk if you are physically able to do this. Support vehicles with water and energy bars will keep us nourished. Comfortable clothes, sunscreen, a hat, and sunglasses are highly recommended. Please bring a reusable water bottle and remember that dogs and cats are not allowed because the black asphalt burns their feet, and the leashes could tangle on people’s feet. The opening ceremony opens up with a water blessing ceremony led by Indigenous communities from Calpulli Nanahuatzin and Suscol Intertribal Council. You are encouraged to bring a small amount of water from a watershed important to you. You may also bring a sage, copal, or your medicine of choice, as well as your own ceremonial hand drum or shaker to use at the opening ceremony and throughout the walk. Make sure you arrive on time or earlier so your sign-in pledge is done less rushed (sign-in pledge can be pre-read at bottom of this page). 8:30 — Sign-in + water blessing ceremony. Bring your water to be blessed. All waters are blended into one watershed and carried in a small ceremonial vessel along the length of the walk.meet at the grassy field by right below the Yountville Muesum at 55 Presidents Cir, Yountville, CA 94599. * May Boeve, Executive Director and cofounder of 350.org. May grew up in Sonoma and went to school in Napa.